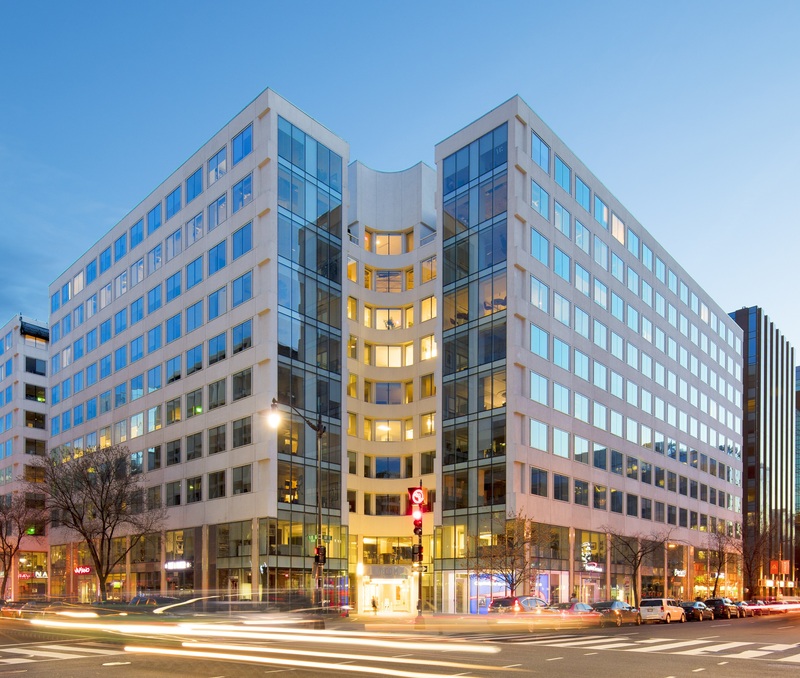 Allianz Real Estate and Columbia Property Trust Acquire 1800 M Street, Washington, D.C.
Allianz Real Estate today announced the acquisition of 1800 M Street in Washington, D.C. through its joint venture with Columbia Property Trust. Allianz and Columbia announced the formation of their joint venture in early July of this year. 1800 M Street is located at the corner of 18th and M Streets. Its setting is directly in the path of 3 Metro stations and is just blocks away from several of DC's most sought after, highly amenitized, residential neighborhoods. The property's recent repositioning created a tenant experience resulting in 400,000 RSF of leasing activity. It is currently 94% leased with a stable, diverse income stream and minimal near-term rollover. "1800 M Street is an asset that epitomizes our investment program with Columbia Property Trust," said Christoph Donner, CEO of Allianz Real Estate of America. "It is a Class A, transit oriented office property situated among renowned dining, retail and entertainment venues and attractive residential neighborhoods, all within one of the global, gateway cities Allianz has confidence in." 1800 M Street is LEED Gold certified, 10-story, ≈ 581,000 RSF building leased to 34 tenants with trophy quality build outs. The property incorporates three levels of below grade parking, storefronts, dual lobbies, six private tenant terraces, a roof top deck, and nine corner offices per floor. Farragut Square, Dupont Circle, Restaurant Row and Connecticut Avenue are in close proximity, as are the Logan Circle and Georgetown residential neighborhoods.